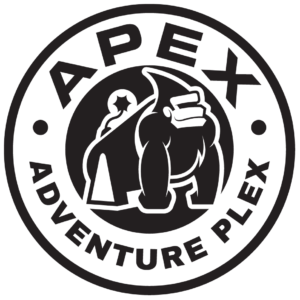 Do you have a school or community group looking to come to APEX? Enjoy exclusive rates to encourage and develop active play. All jumpers must wear grip socks. These socks ensure APEX stays clean and they improve the overall experience on the trampolines. The socks are yours to take home and keep on hand for your next visit. APEX grip socks are $2.67/pair but come free with all group bookings of 8 or more! Groups are sold starting from 8 participants with 1 hour zone time. Guarantee your spot by booking your Group in advance! Tickets can be purchased online or by stopping by the #ThePlex.